Written by Perry Bacon Jr. In the days after Hillary Clinton’s defeat, the two people who seemed like the Democratic Party’s most obvious 2020 candidates, then-Vice President Joe Biden and Vermont U.S. Senator Bernie Sanders, hinted that Clinton had gone too far in talking about issues of identity. “It is not good enough for somebody to say, ‘I’m a woman; vote for me,’” Sanders said. Respect For Cops Has Increased. A Lot. A new poll shows that the despite the poisonous rhetoric from the Black Lives Matter crowd, respect for police officers has increased significantly over the past year. A Gallup poll released on Monday found that 76 percent of Americans said they respected their local police officers “a great deal,” close to the all-time high of 77 percent in 1967. Gallup first started this particular survey in 1965. Political | David E. Smith | October 26, 2016 7:00 AM | Comments Off on Respect For Cops Has Increased. A Lot. 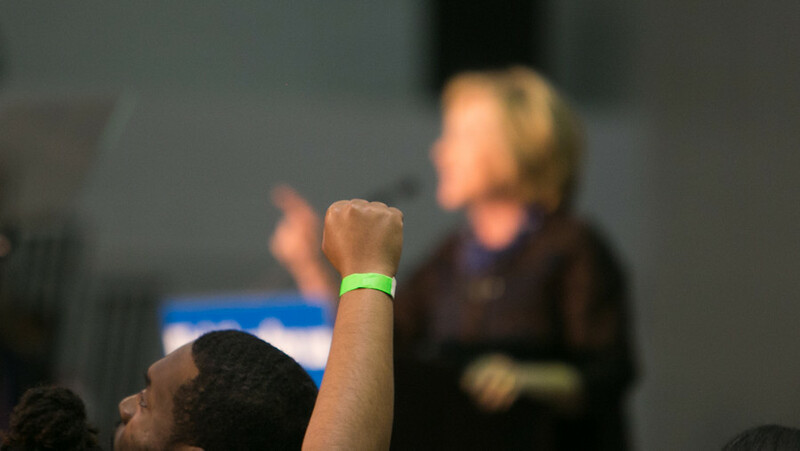 Is it all politics, or does Hillary understand the incongruity of her statements on black babies? I know that you and Mr. Clinton have been considered real friends of the African-American community to the point that, before President Obama’s election, your husband was jokingly referred to as the nation’s first black president.